Milwaukee’s new health commissioner says the troubled health department is moving forward, but it's going to take some time for families to notice a difference in the operations of the agency. Milwaukee Health Commissioner Jeanette Kowalik said the department’s first priority is to make sure homes are safe from lead. Kowalik was appointed by Milwaukee Mayor Tom Barrett and unanimously confirmed by the Common Council in September. She replaced Bevan Baker, who resigned in January 2018 following reports the department failed to follow up with families of lead-poisoned children. "We are trying to fix a program that is super complex and it’s going to take time, I think, for families to say 'Yeah, I see the difference,'" Kowalik said. "Because we're dealing with public and private obligation, as well as safeguarding those who don’t have the resources to be nimble or thrive without any other support." 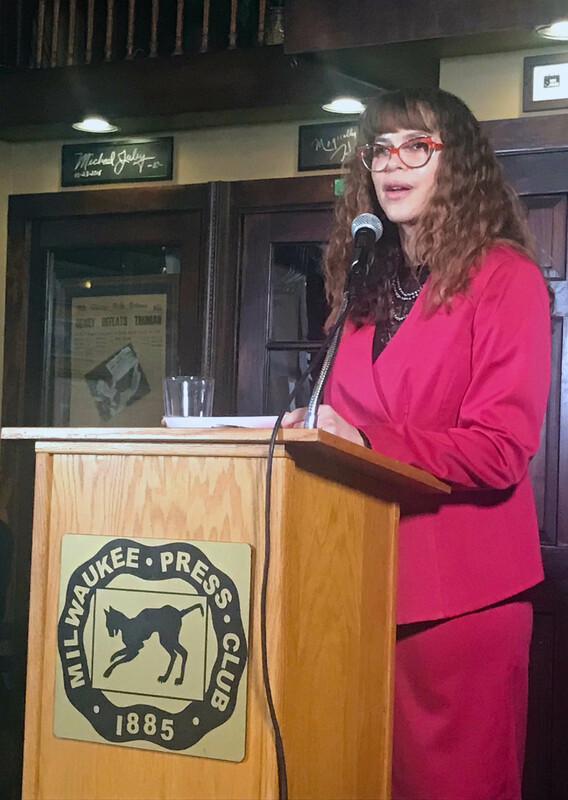 Kowalik spoke to media and community members Wednesday at the Milwaukee Press Club. In February, the city’s federally funded lead abatement program was put on hold after the U.S. Department of Housing and Urban development raised concerns about how Milwaukee was managing it. Kowalik said she learned in December the hold was going to be lifted. But, the partial federal government shutdown means it remains on hold. HUD’s nearly $4 million grant to Milwaukee was first issued in 2016. The program helps replace windows with paint chips and other lead hazards in homes. Even when the program is reinstated, Kowalik said there is a "huge crisis" because there aren't enough contractors to remove all of the lead in the homes. "We don’t have enough contractors," Kowalik said. "In the market we are in, contractors have other options and other sources of income. We need people to do the work." This week, the Milwaukee Common Council directed Kowalik to establish a defined process to address cases of elevated lead levels in children if it's detected by a blood test. "We know that installing and correctly using certified water filters is the best way to minimize lead in our drinking water," Alderwoman Milele Coggs said in a written statement. "This legislation directs our health and water officials to develop a plan to use this effective tool the best way we can." Kowalik is required to report back to the council at the end of March.